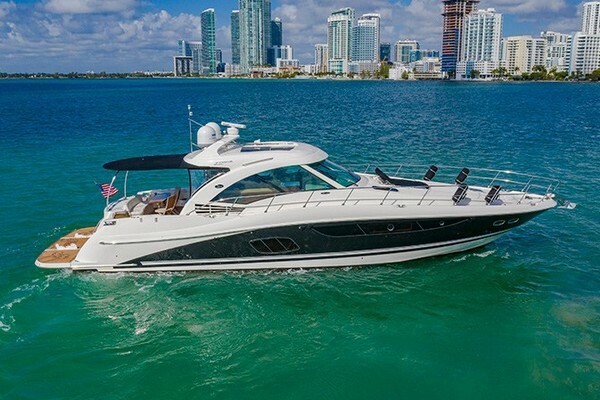 This 2014 Marquis 50 Sport Bridge is a low hour, fresh water gem. The prestige associated with the Marquis brand has been earned over time and is undisputed by the world’s most knowledgeable yachtsmen. The Marquis 500 Sport Bridge reflects the knowledge of a highly refined owner that recognizes world class style and fine yacht quality. Just completely detailed and looking great this Marquis is ready to head to your slip!! The 500 Sport Bridge is the creation from the yacht design studio of Nuvolari-Lenard of Venice, Italy. Their extensive experience designing the world’s largest and most luxurious mega-yachts has been applied to the Marquis 500 Sport Bridge. This is a very special vessel. Every last detail has been scrutinized to reflect Nuvolari-Lenard and Marquis Yacht’s combined reputation for obsessive attention to design detail and unmatched yacht construction quality. 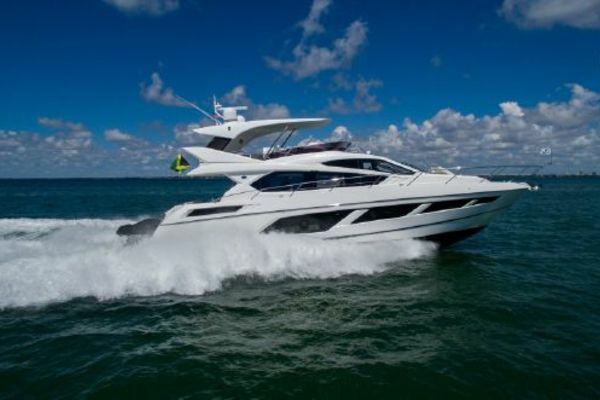 This new Marquis is a performance yacht operated from either the flybridge or the fully equipped salon helm station. Power is supplied by three Volvo Penta diesel engines coupled to IPS rotating pod drives – the most innovative and efficient engine / drive system available. The result is superb slow speed torque; thrilling top-end speed and exceptional joy stick controlled slow speed maneuverability. And, while powerful – this engine and drive combination is quieter and more efficient than traditional shaft driven propulsion systems.